HELENA – Carroll College recently awarded $150,000 in scholarships to 14 students through the Elsie P. Corette Memorial Scholarship as well as the Roy F. Simperman Math, Science and Nursing Scholarships. Five students, who intend to pursue medical school upon graduation, were recipients of the 2019-2020 Elsie P. Corette Memorial Scholarship established at Carroll College. The Corette Scholarship is available to Carroll pre-med majors from Montana through the generosity of 1962 Carroll graduate Roy Simperman of Mercer Island, Washington. Simperman is the chairman and chief executive officer of Semaphore Corporation in Seattle. Awards are based on financial need and promise of success in medical school. Since 1973, approximately 188 Corette Scholarships have been conferred, totaling nearly $1,177,000, with a large majority of recipients going on to become medical doctors. Carroll College also named eight nursing students as the recipients of the 2019-2020 Roy F. Simperman Nursing Scholarship, established by Mr. Roy Simperman also. In addition, one math and science major has been awarded the Simperman Math and Science Scholarship. The Roy F. Simperman Math, Science and Nursing Scholarships provide immediate funds to Montana students needing financial assistance who are majoring in math, nursing or science with a minimum 3.5 grade point average. The scholarships are awarded to equalize the cost of attending Carroll College relative to Montana public colleges and universities. In the ten years that the Simperman Math, Science and Nursing Scholarships have existed at Carroll, $878,500 has been provided to 73 students. Over the years, the Simperman Math, Science and Nursing Scholarships and the Corette Scholarships have provided over $1,962,868 in aid to deserving students. This year’s average award was $10,000. The Elsie Corette Memorial Scholarship was created at Carroll College through the generosity of Mr. John E. Corette of Butte, Montana, and by his children, in memory of his wife and their mother. Elsie Corette was born in 1907 to Peter and Mary Pauly of Deer Lodge. Peter was a cofounder of the Williams and Pauly ranch, which by the early 1950s stretched from east of Drummond to near the top of McDonald Pass. In late September of 1930, Elsie went to Missoula to be a teaching instructor in the University of Montana History Department and continue work on her master’s degree in English. Two years later, she married a lawyer, Jack Corette. They moved to Butte, where Jack served as chairman and chief executive officer of Montana Power Company. Mr. Corette also served on the Carroll College board of trustees. In 1971, Elsie died, and Jack proposed the idea of a scholarship trust account at Carroll College for pre-med students who might practice in Montana. Since Mr. Corette’s death in 1994, this scholarship fund has been generously supported by Roy F. Simperman of Mercer Island, Washington, a graduate of Carroll’s class of 1962, in memory of Mr. Simperman’s deceased wife, Diane, who was the daughter of Jack and Elsie Corette. Diane Simperman served on the Corette Scholarship Committee for many years. Mr. Simperman is the chairman and chief executive officer of Semaphore Corporation. Carroll College is a private, Catholic, liberal arts and pre-professional college in Montana's capital city of Helena. 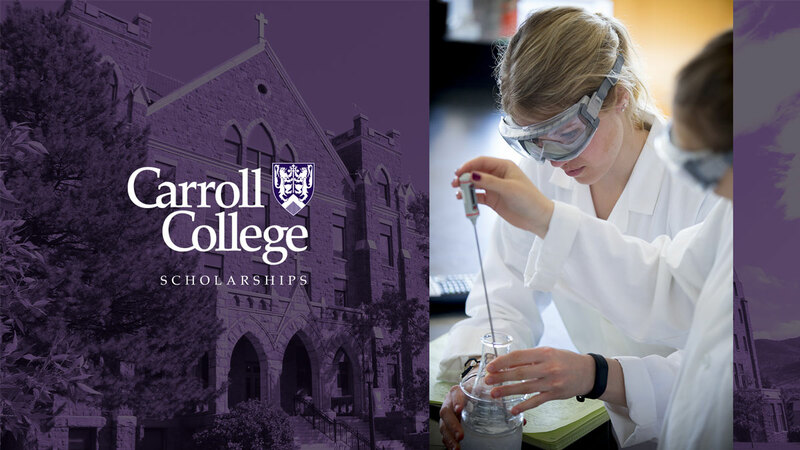 Carroll College has earned top national and regional awards for its academic programs, professors and extraordinary tuition value. For eight years in a row, Carroll has been ranked as the number one regional college in the West by U.S. News & World Report.